Three or Five million steps? 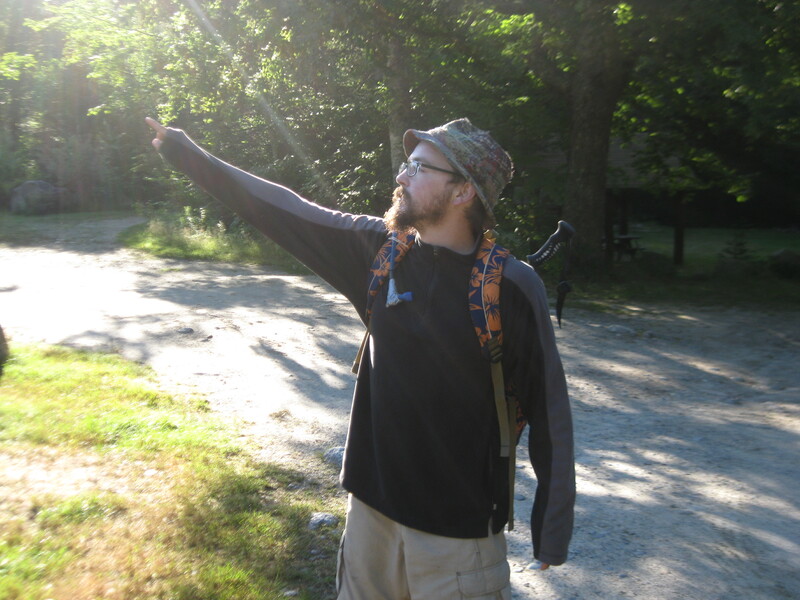 Doing my best Steve Zissou imitation pointing towards Katahdin. Seven years and many adventures later; poolside, I’m reading AWOL on the Appalachian Trail by David Miller at our lodge in St. Germain, WI. The book has been in my collection for a couple of years, but now whimsy found me bringing it with. Condensation coats the windows in contrast to the -20° F conditions outside. A walk across the street creates icicles on my beard. Today is a little colder than the already cold days we’re working, so we get the day off. This is a happy day because I’m not working and don’t have to be afraid of my job. I’m a tower climber and I didn’t realize I was scared of heights until I started climbing. Of course, I’m not afraid of the money so that’s why I’ve stuck around for four months. Yesterday though, I hung from a piece of steel hanging outside the tower so I could ground some wire. That freaks me out. But this job is just a reflection of what I’ve been through in the last year: four near-death experiences, lost the love of my life (she didn’t die), and was banned from my secret society. Ever since that day in the frozen car, I keep going on these extensive vacations from road trips across the U.S., international flights to Russia, train rides to the West, and so on. The reality of these adventures comes with a carousel of jobs and completing college. Fast approaching is the time of reckoning. I have done much, but I have little to show for it except memories. Than again, it’s better to enjoy things in youth than when I’m old and used up. This trek wouldn’t be my last adventure, but it has to mean something more than just enjoying the sights as it were. I’m not running away from anything because I will still have to deal with myself and that’s the point I want to reckon with myself. There are many things I have to get over and to “get my mind right.” I need to build up my confidence and lose this gut I’ve accumulated. I have to push myself and write that book I’ve been meaning to get to. I need to let loose the bonds of fear that grip me whenever I try to take a step in the right direction. When it regards the trail, will these intangibles be better fixed by three or five million steps? A few considerations for either option. 1,180 miles is a plausible hike for me as I’ve already hiked 1,000 miles and at the start of my hike I will probably be in the midst of the SOBO crowd that started in May, i.e. less lonely. All of the trail will be fresh for me and it won’t feel like I will be backtracking. The hike will most likely be completed in early October so the cold won’t be that much of a factor. Also, I will be able to see my parents, sister, niece and nephew, and cat much sooner. A thru-hike is a considerably greater challenge that has the possibility of greater personal growth. I can say “I thru-hiked the Appalachian Trail.” Half of the trail will be nostalgic and I can compare and contrast the old with the new. The Whites. More reading and writing can be done with a good dash of contemplative thought. A greater length of solitude. When I ask non-hikers they say I should go all-in. One friend says “just hike PA-GA and spend the other time doing something else.” Another friend, “Whatever will be harder. Fortify that hearty constitution.” Past thru-hikers are more practical, “if you have the money do it” or “it depends on how fast you want to hike.” For me, I flip-flop the decision every day. My parents and I are going to Acadia before they drop me off so maybe it can be a last minute decision. What do you think readers? Orrrr you could start in Georgia and decide if you want to stop once you get into PA? 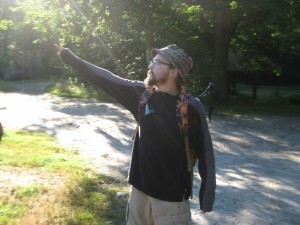 Good arguments on either side: thru-hiking the AT is never a bad decision, BUT you could use the extra time after your section hike to adventure elsewhere. Ultimately, you’ll unearth the true answer from the depths of your gut.